She didn't 'sell' in the busy Adoptions ward and now her life is on the line and she's counting on someone to see the sparkling gem of a pet that she truly is -- sadly nobody did. Ella is a shy little girl who had a rough start in life and needs you tho show her what she has been missing. She is sweet and loves attention. 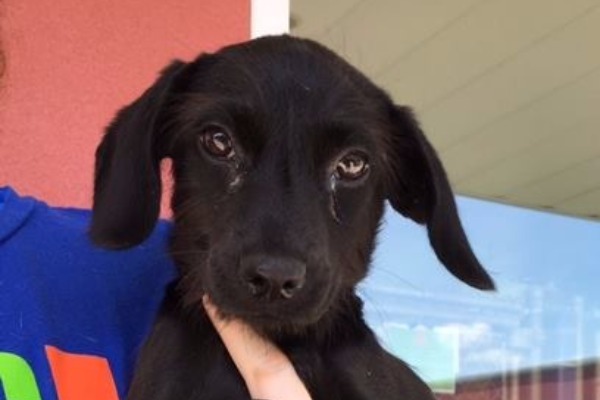 Ella is a 4 month old, Terrier blend who is about 8 lbs. PAST DEADLINE! Needs Commitment by 9:30AM and Picked Up by 6:30PM To adopt, foster, or rescue.